Using wishy-washy language when setting expectations with your kids leads to weak statements. If you want to set clear expectations, you need to use clear language. I hope you will get your chores done every day. I expect that you will get your chores done every day. If you get your homework done, you can go to Ryan’s house. When you get your homework done, you can go to Ryan’s house. It seems reasonable that when I call you for dinner, you come right away. From now on when I call you for dinner, I expect you to come right away. I think it’s time to start picking up your toys and get ready for bed. It’s time to start picking up your toys and get ready for bed. By clearly stating your expectations, you’re more likely to get the behavior you would like from your children. Sometimes your child may want to share something important with you but wants assurance that you won’t tell anyone else. 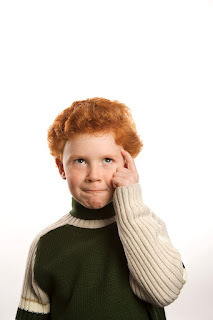 How do you respond if your child says to you “I'll tell you but you can't tell anyone”? Begin by reassuring your child that you want to hear what she has to say. However, promising not to tell anyone else is something that you may or may not be able to do depending on what she reveals. By letting your child know how you will handle the situation if you feel you need to get someone else involved, you are being honest. You will then be able to act with integrity if the situation requires telling someone else. 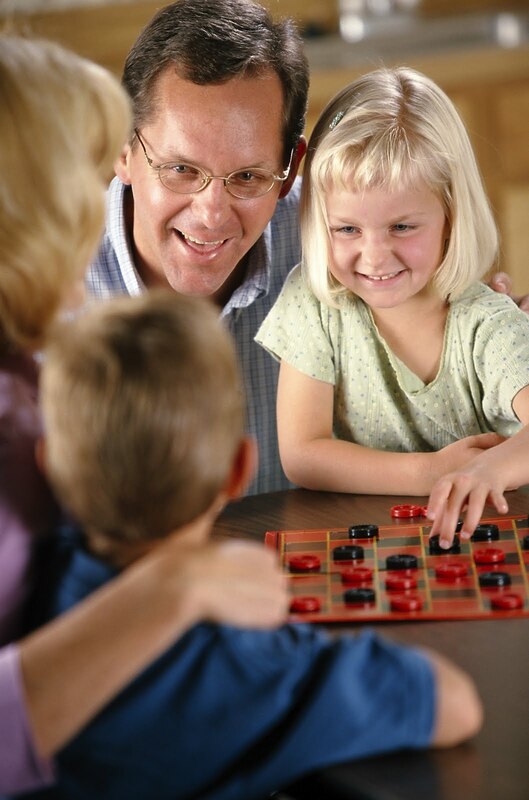 When you fire an accusation off at your children, you are likely to get a defensive response. People who feel they are being blamed, tend withdraw or get angry rather than engage in meaningful conversation. You always yell and have a fit whenever you don’t get your way. You never remember to feed the dog. You’re too lazy to clean up your dishes! How did they make you feel? Are you motivated to change your behavior? Probably not! Now let’s rephrase these same statements into requests. I feel irritated when you yell at me. If you’d like to do something different, please let me know using a respectful tone. I’m frustrated that you don’t remember to feed the dog on your own. What can you do so that you can remember your chores without my reminder? When you leave a mess in the kitchen, I feel angry. How can things change so that you remember to clean up when you’re done in the kitchen? In this second set of statements, I’m focusing on how I feel about a specific behavior. I’m also requesting a change in that behavior. By using a request instead of an accusation, you increase the likelihood of getting cooperation instead of resistance from your kids. Losing is part of playing games – often the most difficult part. When your kids are really trying hard to win and come up short, it can be hard for them to graciously accept the loss. What can you teach them to better handle losing? One mom taught her son to thank the other people for playing. Before he would start playing a game, they discussed how he would act at the end of the game. He could usually remember to thank the other players and sometimes was even able to congratulate the person who won. Even when he lost, he glowed when she showed appreciation for his good sportsmanship and the effort he put into playing the game. You only have so much time and energy to spend every day. Once it’s gone, it’s gone. If you spend your precious time on things that truly aren’t your highest priorities or taking on tasks that should be someone else’s responsibility, you will become depleted and discouraged. This concept was demonstrated well in a story told about a waitress named Mary. When she was first starting out as a waitress, Mary tried to help whichever customers requested her assistance even if they weren’t sitting at one of her assigned tables. If a customer from another server’s table requested more rolls and butter, Mary ran to the kitchen to get them. Everyone loved the way Mary jumped in to help except for the customers seated in Mary’s section. They resented having to wait longer as Mary served customers in other sections. Soon Mary found herself exhausted. She also found her customers starting to complain about her slow service. These complaints caught Mary’s attention as well as her boss’ attention. Where Are You Taking On Too Much? As a parent, can you relate to Mary’s wanting to help everyone and then feeling overextended and underappreciated? From your kids asking for your assistance on things they could handle themselves to the multiple volunteer requests from school or church, it’s easy to agree to doing too much. Do your kids ever struggle to find something constructive to do that doesn’t involve watching a screen? If so, have your kids write down things they like to do that don’t involve screen time on small slips of paper. Next have them create and decorate a “fun ideas” container to hold these pieces of paper. When your children need inspiration for an activity, they draw two or three papers and then decide which idea they want to do, either as a group or individually. If you want some ideas that other kids have written, a "boredom busting activity ideas" list is available. It’s not your job to entertain your kids all the time. It’s their job to figure out how they would like to use their time in constructive ways. By giving them freedom within limits, you can help them develop new skills and find ways to enjoy themselves without having to be entertained by some outside entity. Developing this ability will serve them well thorough out their lives. Gina felt strongly that she did not want her children using play guns. A member of Gina’s family had been killed with a gun and she wanted her kids to know guns were not play things. She knew too well how guns can cause death. 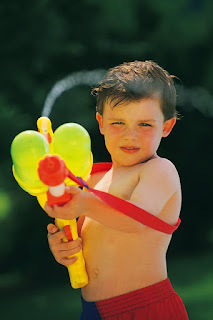 However, her young son really wanted a squirt gun so that he could play with the other boys in the neighborhood. Gina explained that it was still a gun and so he couldn’t have it. He begged her to please let him have one. Realizing how much this meant to him, Gina sat down with Jake to discuss possible compromises. They decided that if Jake got a squirt gun that was brightly colored and clearly a kids’ water toy, Gina could be comfortable with that. They went to the store and found the perfect brightly colored squirt gun and both of them were happy.